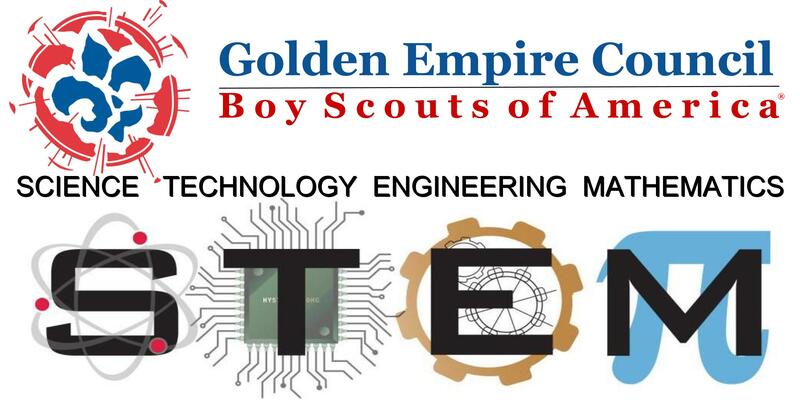 STEM is part of an initiative the Boy Scouts of America has taken on to encourage the natural curiosity of youth members and their sense of wonder about these fields through existing programs. From archery to welding, Scouts can't help but enjoy the wide range of STEM-related activities. To support this initiative, the BSA developed the Nova Awards program so that youth members have fun and receive recognition for their efforts. What Are the Nova Awards? The Boy Scouts of America’s NOVA Awards program incorporates learning with cool activities and exposure to science, technology, engineering and mathematics for Cub Scouts, Boy Scouts, and Venturers. The hope is that the requirements and activities for earning these awards stimulates interest in STEM-related fields and shows how science, technology, engineering and mathematics apply to everyday living and the world around them. Counselors and mentors help bring this engaging, contemporary, and fun program to life for youth members. There are multiple Nova awards for Cub Scouts, Webelos Scouts, Boy Scouts, and Venturers. Each award covers one component of STEM—science, technology, engineering, or mathematics. For their first Nova award, Scouts earn the distinctive Nova award patch. After that, a Scout can earn additional Nova awards, each one recognized with a separate pi (π) pin-on device that attaches to the patch. The patch and the devices represent each of the four STEM topics—science, technology, engineering, and mathematics. The Supernova awards have more rigorous requirements than the Nova awards. The requirements and activities were designed to motivate youth and recognize more in-depth, advanced achievement in STEM-related activities. For earning the Supernova award, Scouts receive a medal and certificate. Requirements may be found in the Nova awards guidebooks, available through local Scout shops—one for Cub Scouts, one for Boy Scouts, and one for Venturers. The requirements can be completed with a registered counselor (for the Nova awards) or registered and Council-approved mentor (for the Supernova awards). Each guidebook includes a section for the counselor and mentor. See Nova Awards Program and discover how the Nova Awards program can help youth become "Prepared. For Life." Congratulations to the STEM Solar Regatta Team!!!! Congratulations to the GEC STEM Solar Regatta Team on a job well done!!! Mark your calendars for these upcoming events!! 2019 SACRAMENTO REGIONAL STEM FAIR AT AMERICAN RIVER COLLEGE APRIL 6, 2019! The Annual American River College and Career Expo at the Sacramento Regional STEM Fair! We expect to have 2,000+ participants and community members attend this event! It's a great opportunity to showcase your organization, college, or company to the region's best and brightest future STEM workforce. SCC’s Hulbe Observatory is free and open to the public for a viewing. Everyone over the age of six (6) is permitted to look through the telescope (smaller children may not be able to reach the eyepiece). Weather updates can be found at (916) 558-2423.Be sure to check the weather before heading to the observatory. If it rains during the day on Friday, the observatory will not open as they don’t open the roof when wet. The October Launch will be at Gibson Ranch Park. Launches are from 10am - 2pm with setup Starting at 9am. Non members are always welcome but must sign a RELEASE FORM before launching. all fliers need flight cards filled out for each flight. Flight cards are available at our launches. Our non member launch fee for individuals is $10 and $25 for groups. Please note that Gibson Ranch charges $5 for parking. Year round events for Scouts and Youth Groups!